Transformation is rarely quick and easy. The process is full of challenges and risks. But with perseverance—and, in this case, expert help—the end result more than rewards the trouble. Recently an investor in California approached the Thomas Duke Company. He operates a highly successful consulting firm and, in the real estate sector, builds multi-million-dollar homes in that state. But he grew up in Novi, Michigan, and had a strong desire to purchase a value-add property in his hometown. This investor conducted an exhaustive search of local and national real estate firms, looking for a company with a dominating presence in southeast Michigan, a superior knowledge of the area’s market, and demonstrated commitment to achieving clients’ objectives. That search brought him to Mark Szerlag, CCIM, Partner in the Thomas Duke Company. Mark immediately set in motion a strategic plan for acquiring the perfect asset. He began by understanding thoroughly the client’s investment objects. Then Mark assembled an acquisition team that investigated multiple properties before helping select the “right” one. With our guidance and careful due diligence process the client purchased a 94,000 square-foot obsolete medical office building. Constructed in 1979, the three-story-above, one-story-below-grade structure was in sorry condition. 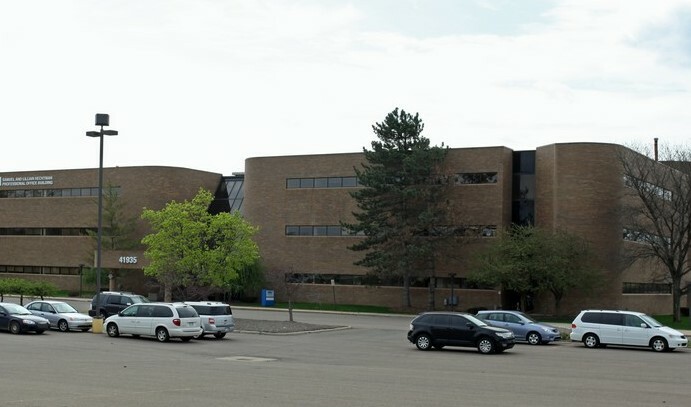 But its 7.4-acre location in Novi is at the heart of an improving office corridor, making it ripe for repositioning in the market.